Introducing Annie&apos;s Organic Whole Milk Yogurt in three delicious varieties, including Summer Strawberry, Berry Patch & Very Vanilla. Also available in Grass Fed. Today, Annie’s, Inc. announced the availability of a new line of Organic Whole Milk Yogurt in three delicious varieties, including Berry Patch, Summer Strawberry and Very Vanilla. Annie’s Organic Whole Milk Yogurt fills the need for parents in search of kid-friendly, whole milk yogurt options for little ones. 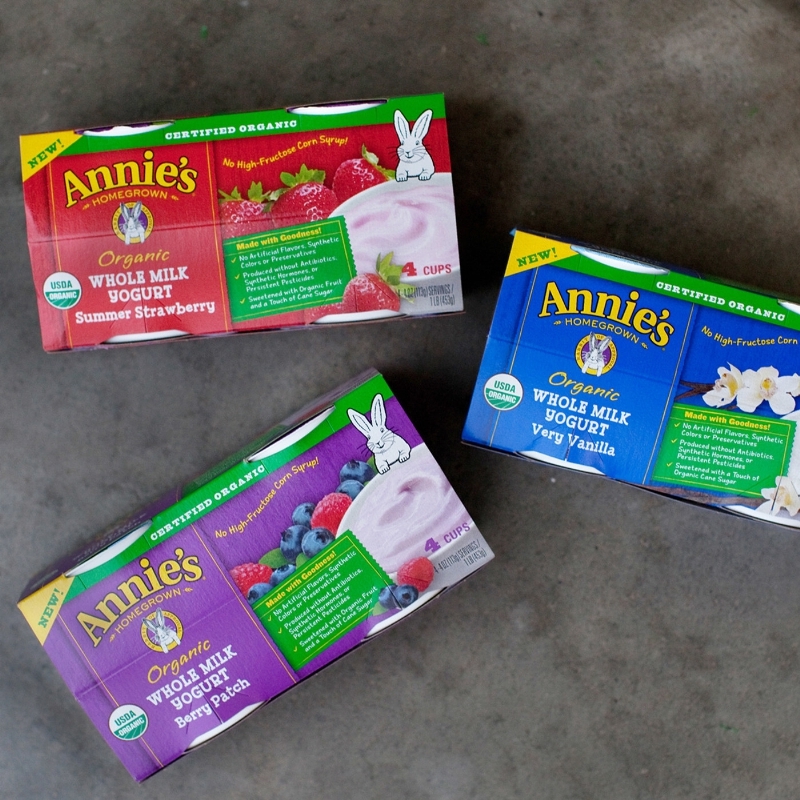 Made with the goodness of Annie’s ingredient promise, Annie’s Organic Whole Milk Yogurts are made with simple, real ingredients like organic whole milk and real fruit, but without GMOs, artificial flavors, synthetic colors, preservatives or high fructose corn syrup. Ideal for breakfast on-the-go, easy lunch-packing and snacking, each variety is sold by the 4-pack with 4oz single-serve cups with an SRP of $3.29 at retailers nationwide. The new line is also available in Organic Grass Fed Whole Milk varieties at select natural retailers nationwide with an SRP of $3.99 per pack.